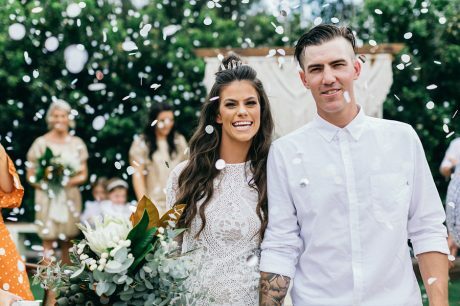 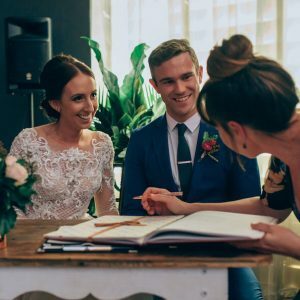 Congratulations, you’re a couple of loved-up folk who are about to enter unknown territory – wedding planning! 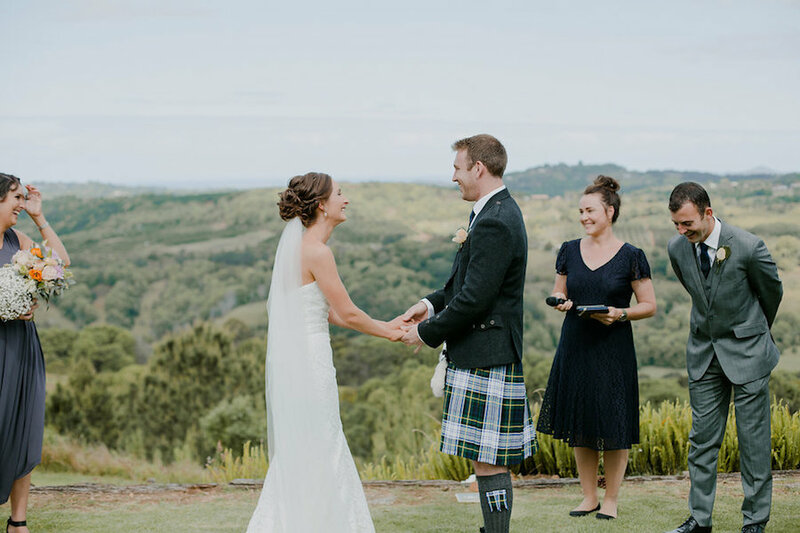 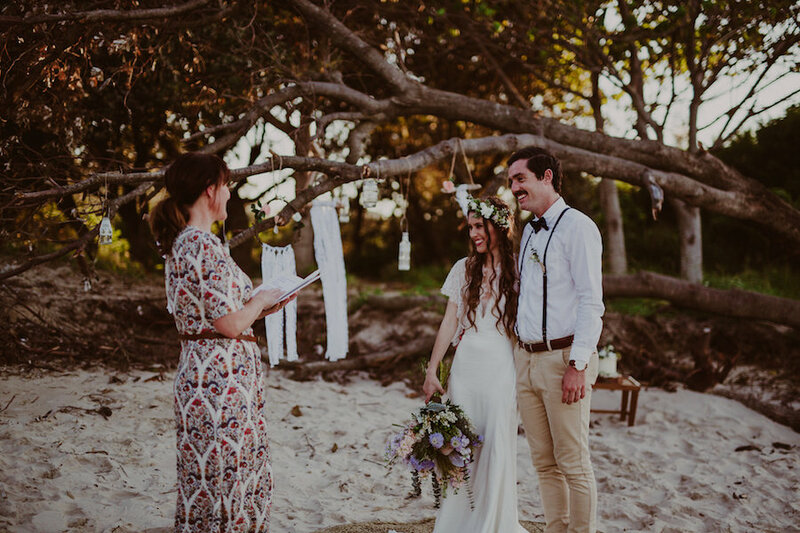 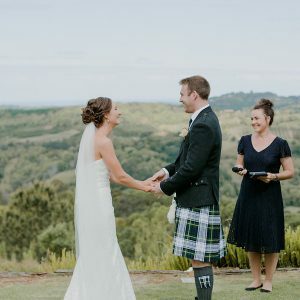 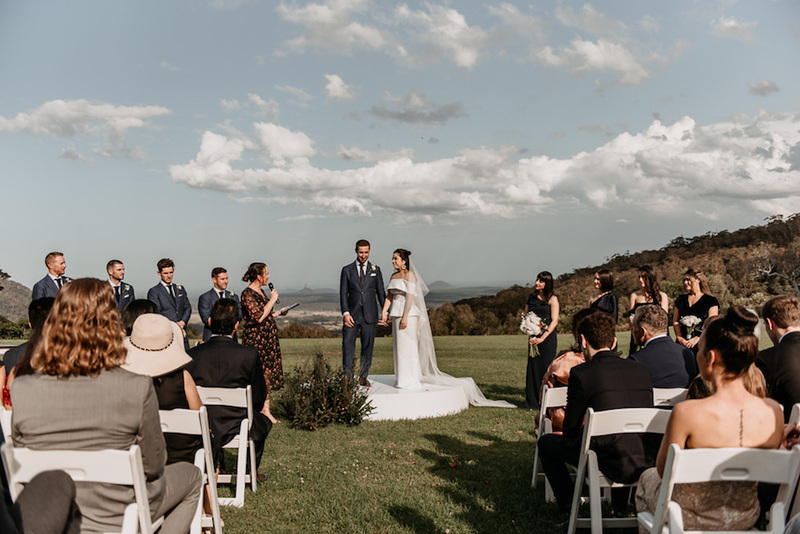 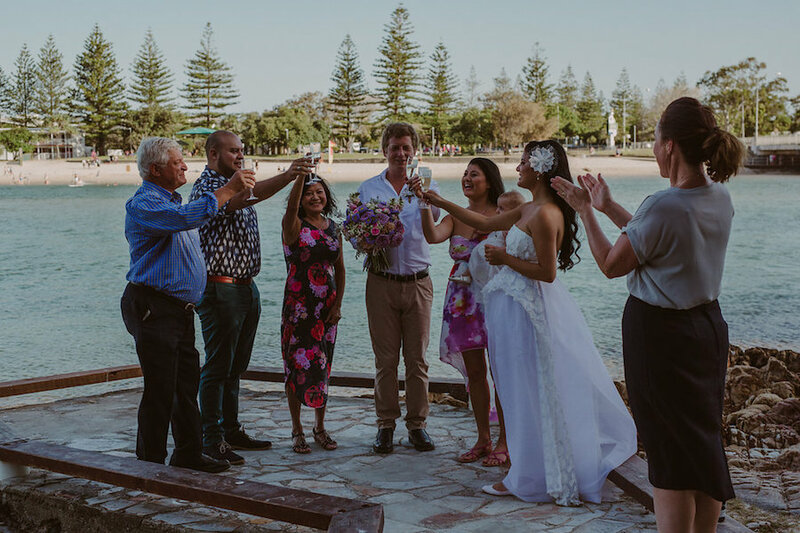 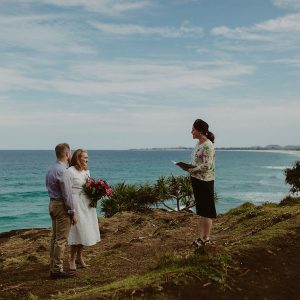 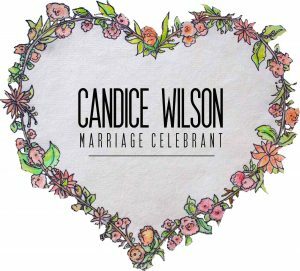 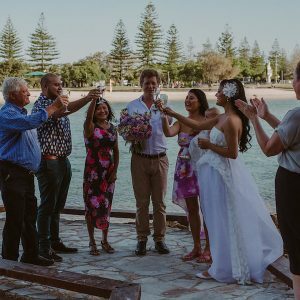 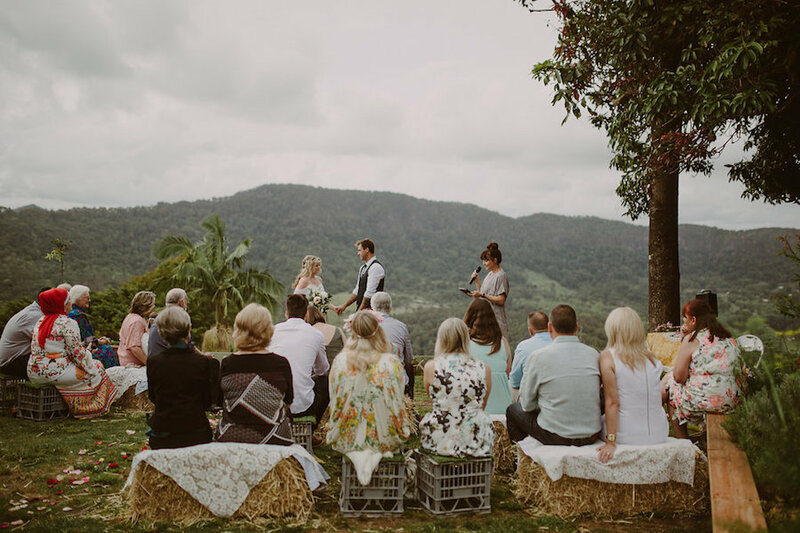 I’m very lucky to be a Tweed Coast marriage celebrant; it’s a pretty amazing job. 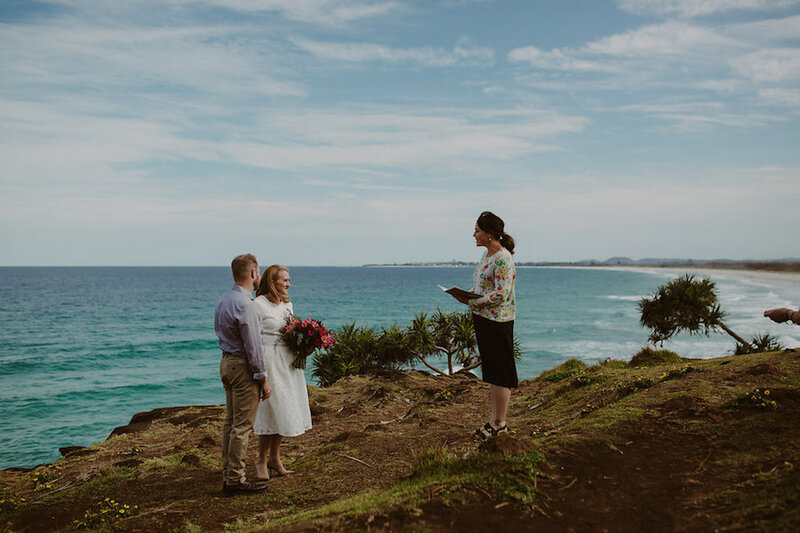 I get to work in some of the most beautiful venues and scenic locations around the Tweed Coast, Gold Coast and Byron Shire. 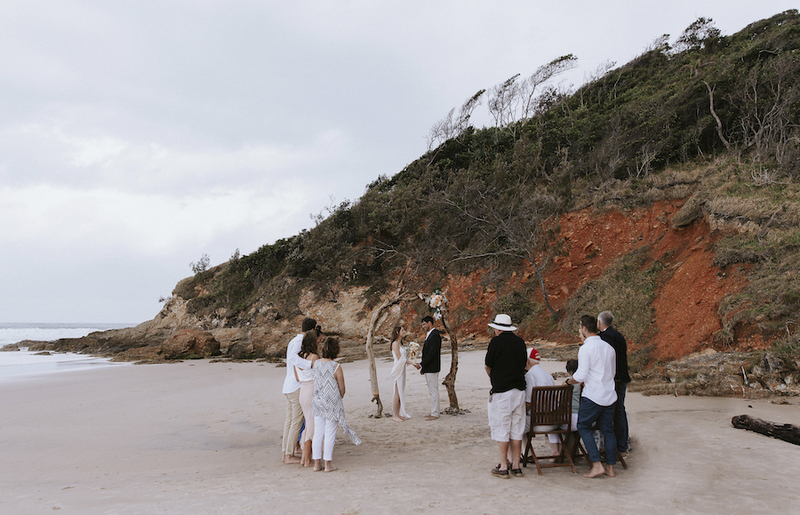 All perfect locations to celebrate the very first day of your marriage. 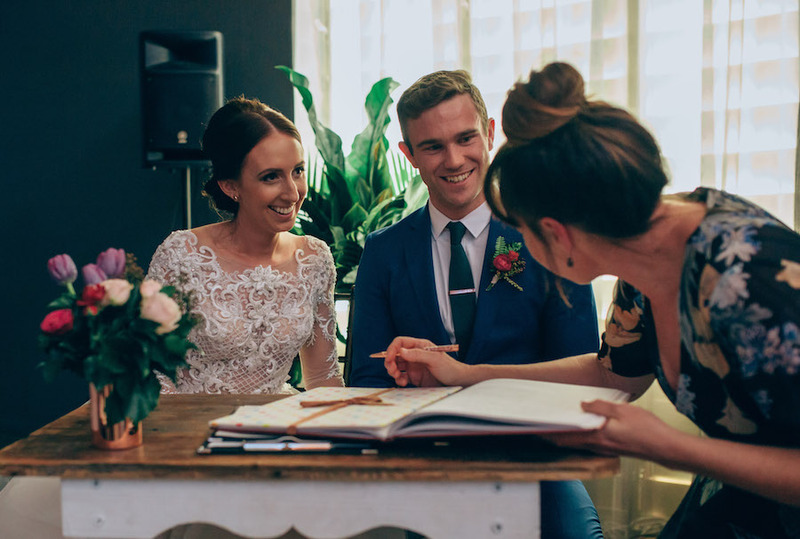 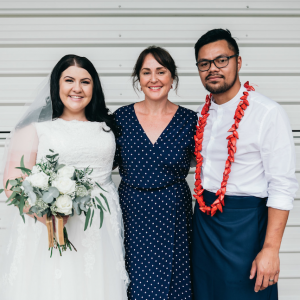 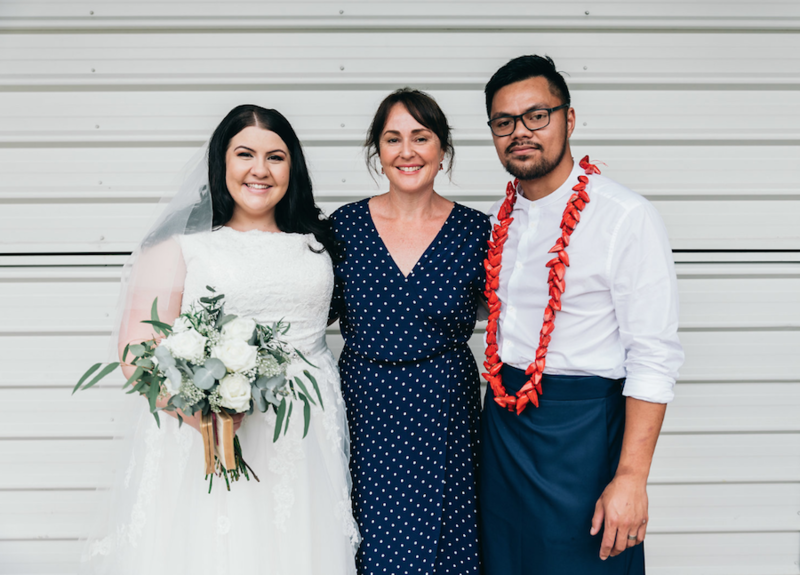 I’ve been a wedding celebrant since 2012 and I love every single wedding I am fortunate to be a part of. 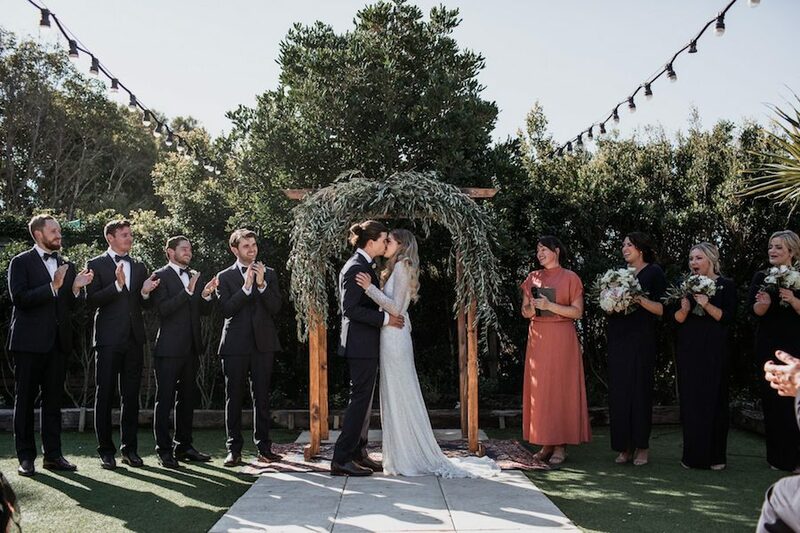 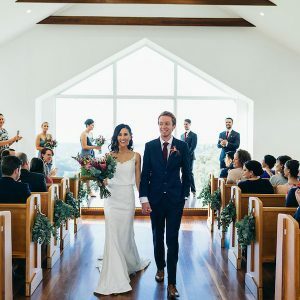 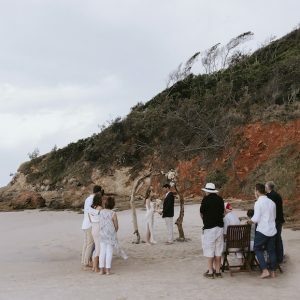 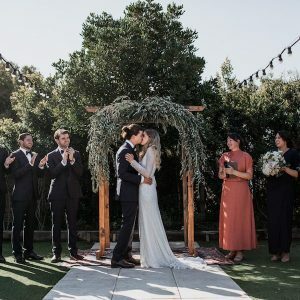 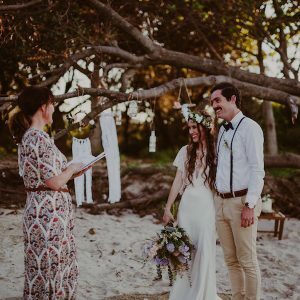 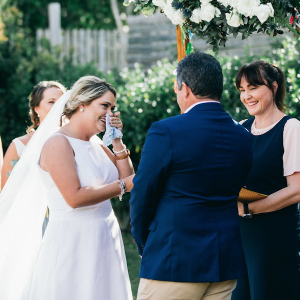 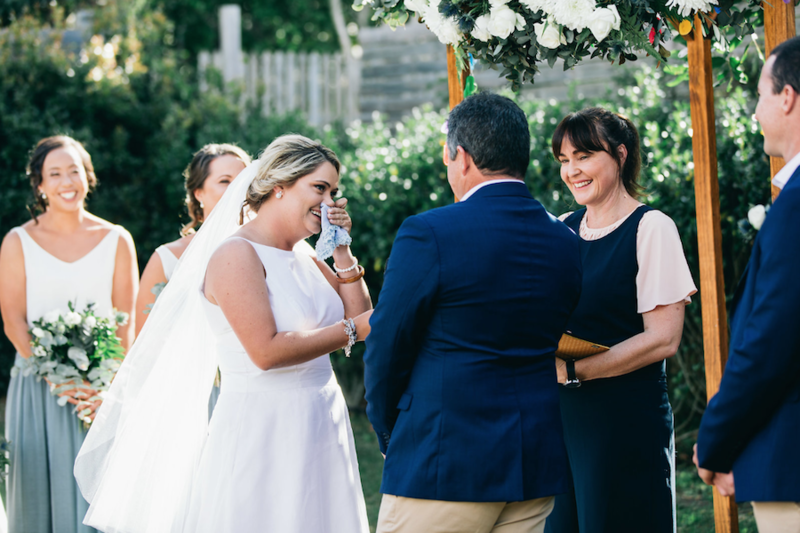 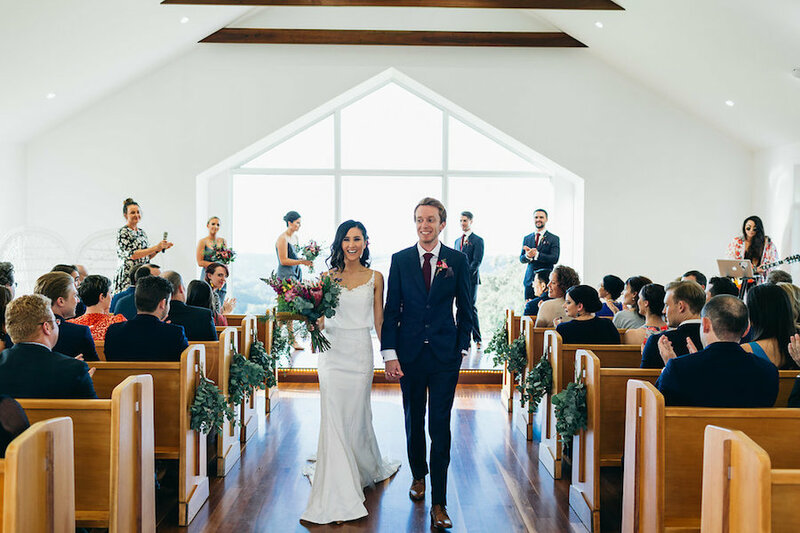 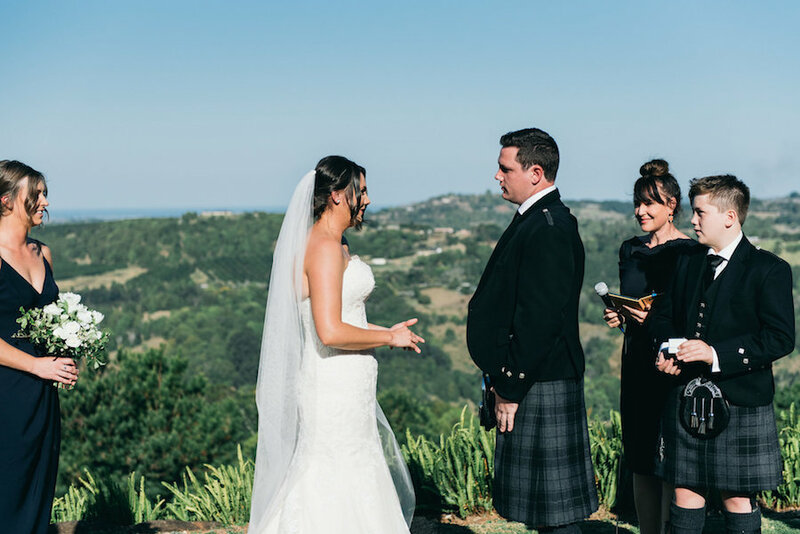 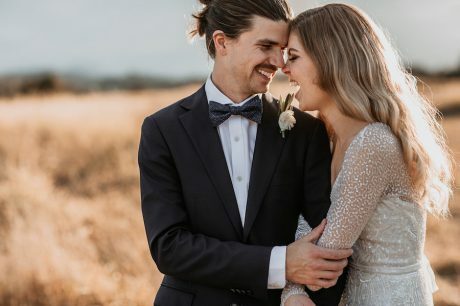 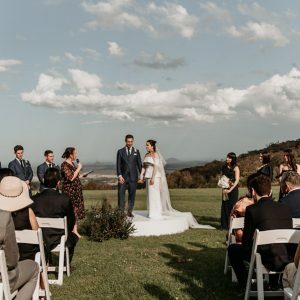 If you’re planning a large celebration with family and friends, or a small, low-key elopement with the two of you and your witnesses, there are a few legalities that need to be said during the ceremony, but the rest is up to you. 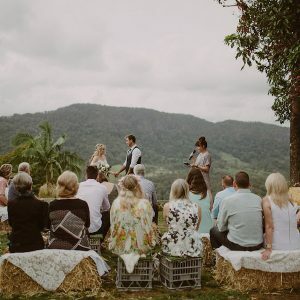 Weddings are a gathering of your favourite people, all there to celebrate your love, your story, in a way that reflects just who you both are. 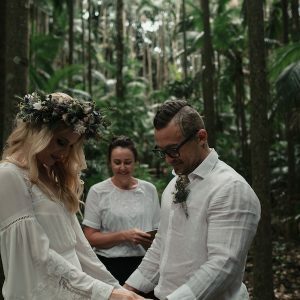 I’m there to share your story, keep you grounded and calm, and make sure everyone there feels valued, welcome and included. 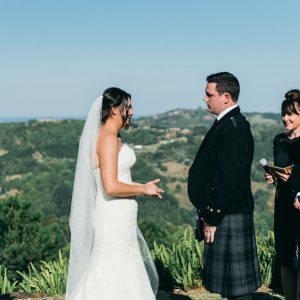 Nerves on your wedding day are inevitable, but as soon as you are standing next to your lover, trust me – they will disappear. 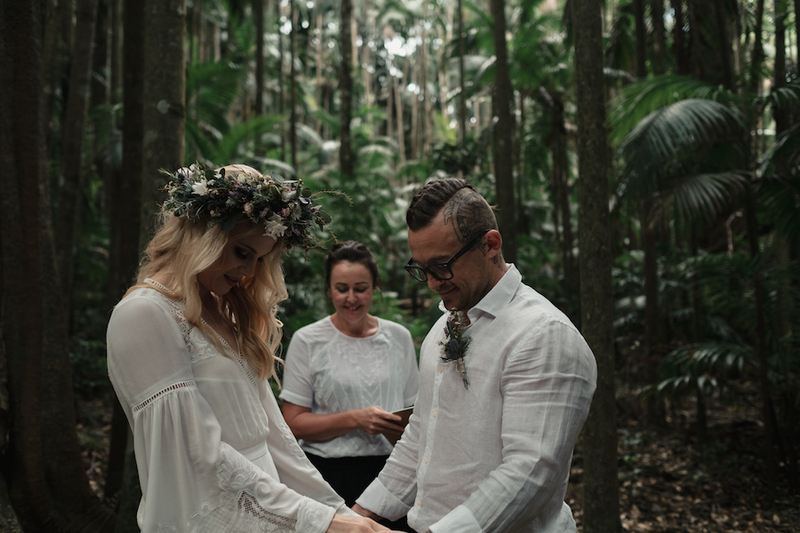 By the time your wedding rolls around you’ll both feel loved, supported, but most importantly you’ll feel ready to marry the love of your life.